The Whitsundays Islands is one of the most beautiful areas of Queensland that many travellers don’t get a chance to explore. On our Whitsundays Islands tour you can enjoy exploring these islands, visiting Whitehaven beach as well as snorkelling in the Great Barrier Reef Marine Park. While many people make their way to Queensland to see the reef and to explore the beautiful ocean waters in the area, it’s not often that people get the opportunity to explore the islands and land on them. Our Avatar Whitsundays offers sailing adventures through these Whitsundays islands with the only commercial sailing vessel that you can snorkel off of as well. There are 74 different islands gathered in this area all with close access to the great barrier reef. Our staff members can identify some of the most beautiful spots here as well as some of the finest areas for snorkeling. During you sailing tour you most likely visit Whitsunday Island , Hayman Island and Hook Island. You will sail past many on the way including the Molle island group, boarder island langford spit and many more. The Whitsundays islands were discovered by Captain James Cook in 1770 and were inhabited by the Ngaro people. They were a seafaring people who travelled between the Islands by paperbark canoes fishing for turtles and shellfish. As the years passed the Ngaro people faced hardship due to the Europeans guns. germs and logging. Over the next century they where forced from their home and sent to lumber yards or Palm Island. Today you can visit caves at Nara Inlet and see their drawings in the rock walls. You can walk back in history and visit the Ngaro Sea Trail Great Walk. This is a mix of seaways and short walks, across South Molle, Hook and Whitsunday islands. The tracks across the islands are linked by water suited to kayaking, sailing or power boating. Camping is available at eight camping areas on the islands. 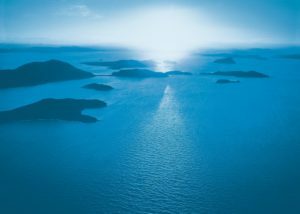 To see these Whitsundays Islands on a 2 day 2 night sailing tour. Visit our Ticket shop and Book Now before the most popular boat in the Whitsundays Islands is sold out.